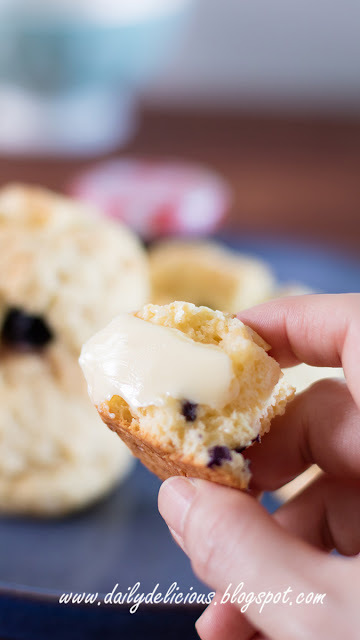 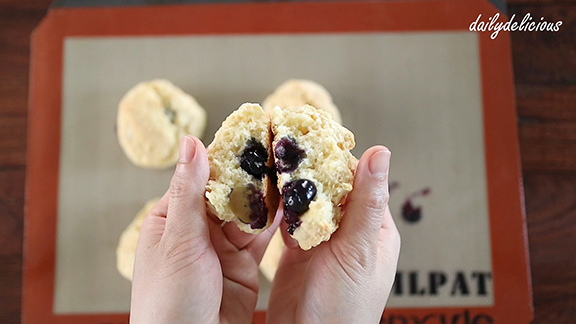 dailydelicious: Easy Blueberry Scones: The easiest scone! 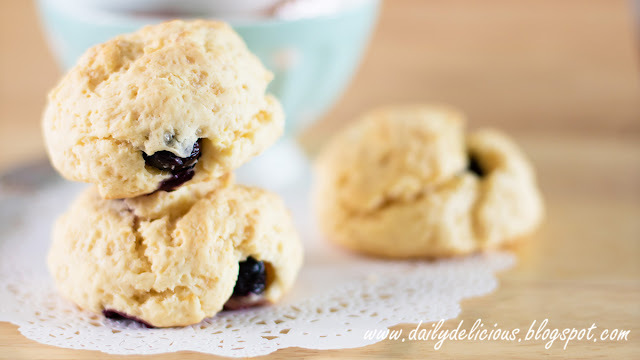 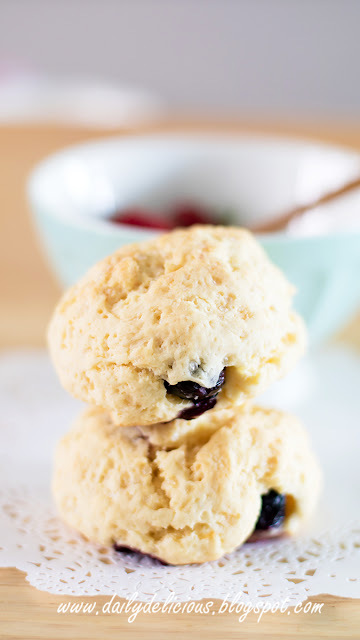 Easy Blueberry Scones: The easiest scone! I'm a bit busy lately, well this time it's not about my game or anime, haha, I really have to work!. But when I have a short break time from work, I still go into the kitchen (lucky that I work at home, so as long as I can manage to finish the job on time, I'm still OK). 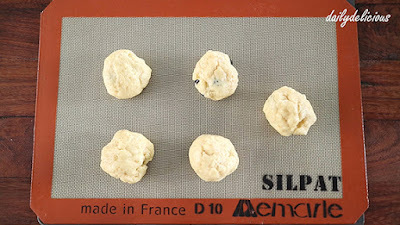 Woking in front of the computer is different from posting the blog, haha, because when writing blog I feel relax, I can write everything that I want ^^, and hope you don't mind reading it too. I started writing Japanese recipe lately, well, it's fun to make something new, and I just give myself a chance to practice my Japanese writing skill, if you want to see it just click here to visit Pook-dailydelicious のキッチン at Cookpad website. 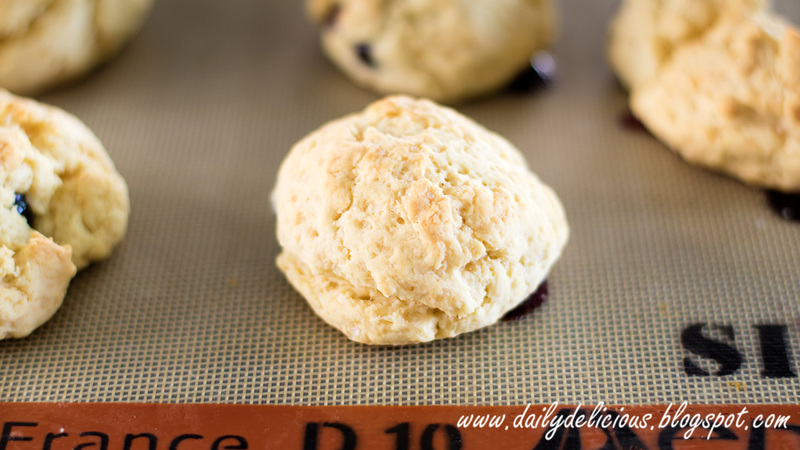 Today, I made the easiest scone recipe, no need to rub the flour with butter or even worry about the temperature of the dough. 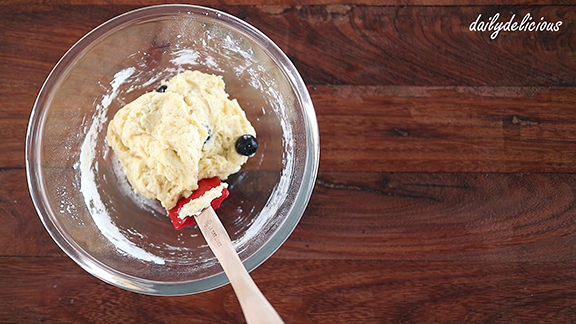 Just mix all the ingredients together, plus you don't need a cutter for shaping the scone too. 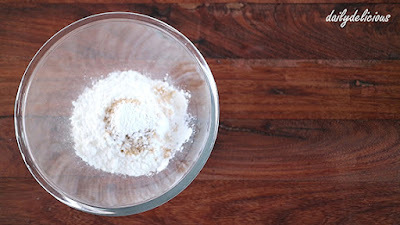 You can use more or less sugar depend on your taste. This scone is the best when serving with a load of butter and a cup of hot tea, it's my recommendation. Preheat an oven to 190C. 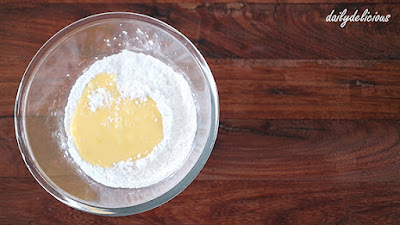 Put the flour, sugar, baking powder and salt into a bowl. 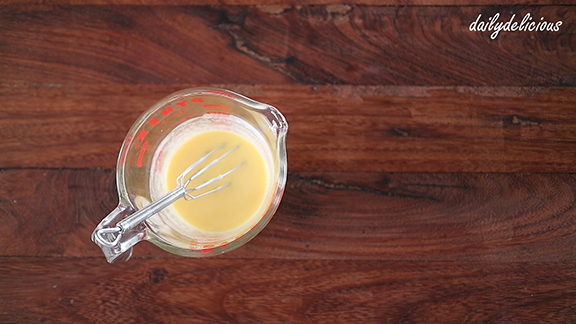 Mix melted butter, egg, yogurt, and milk together. 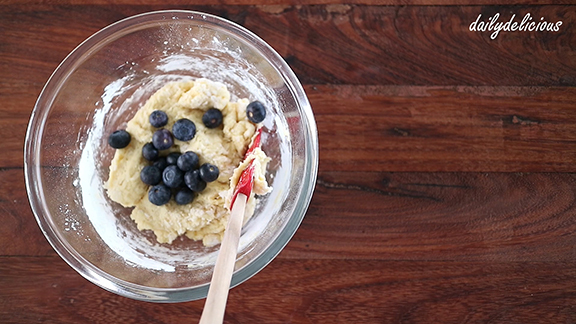 Mix until combine, then add the blueberries. 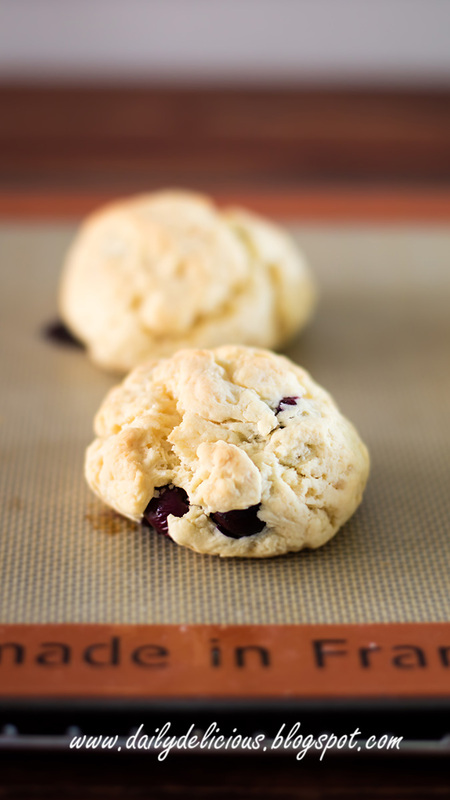 Serve with load of butter, and enjoy!